The BMW M850i xDrive Coupe First Edition will be produced in a limited quantity of 400 at the BMW Dingolfing plant between April and June 2019. 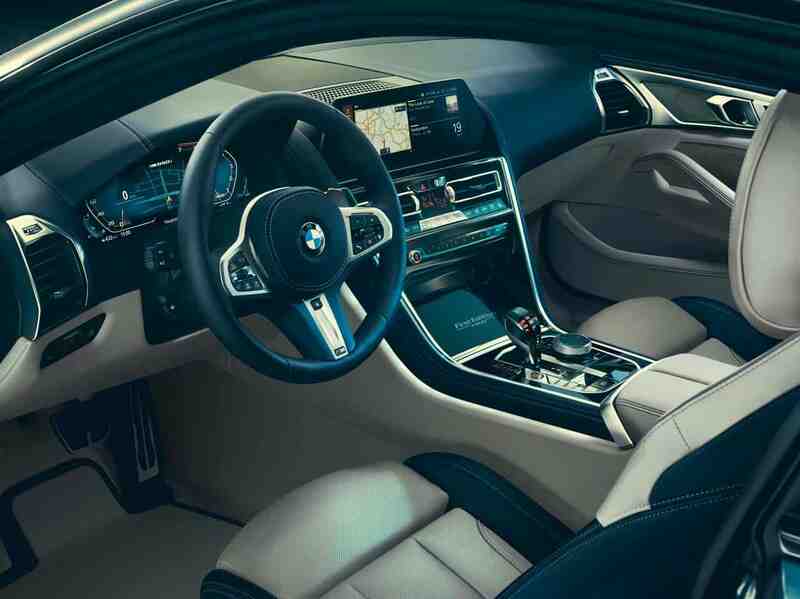 The exterior paint finish, light alloy wheels and interior trim will lend the BMW M850i xDrive Coupe First Edition both an individual and expressive character. The fascinating exterior appearance is above all due to the newly developed BMW Individual special paint finish Frozen Barcelona Blue metallic being applied on a BMW model for the very first time. It is combined with the upgraded BMW Individual High Gloss Shadow Line, which, in addition to the side window surrounds, also includes the BMW kidney grille frame and slats, the air breather applications and tailpipe trims finished in black. The dark accents featured on the special edition model are complemented by 20-inch M light alloy wheels with a Y-spoke design finished in Jet Black. Available optional features also include, inter alia, an M Carbon roof and an M Carbon exterior package. The exclusive aura inside the BMW M850i xDrive Coupe First Edition is also enhanced by specific BMW Individual design features, a fine selection of colours and materials and particularly high-quality equipment. A special feature offered for the edition models is the BMW Individual full leather trim Merino in the novel colour combination Ivory White/Night Blue. The harmoniously matching interior design features also comprise the M leather-covered steering wheel as well as the BMW Individual Alcantara roof liner, each finished in the colour Night Blue. Inside the car, BMW Individual interior trim strips in a Black Piano finish, which are located in the centre of the cockpit, bear the lettering ‘First Edition 1/400’. Moreover, the Bowers & Wilkins Diamond Surround Sound System and the Crafted Clarity glass applications on the start/stop button, the iDrive Controller, the volume control and the illuminated gearshift lever complement the luxurious interior ambience. 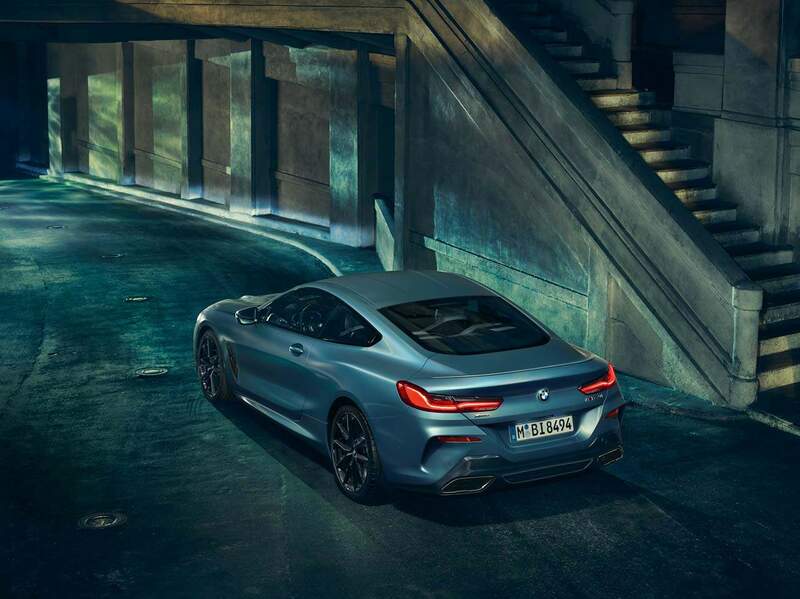 The expressive personality of the BMW M850i xDrive Coupe First Edition is conveyed by its exterior and interior design and goes hand in hand with outstanding performance characteristics. The special edition model is powered by a 390 kW/530 hp, eight-cylinder petrol engine with BMW TwinPower Turbo technology. The high-torque V8 power plant is combined with an 8-speed Steptronic sports transmission and transfers engine power effortlessly to the road thanks to intelligent BMW xDrive four-wheel drive technology and a suspension setup that is perfectly tuned to the vehicle concept.